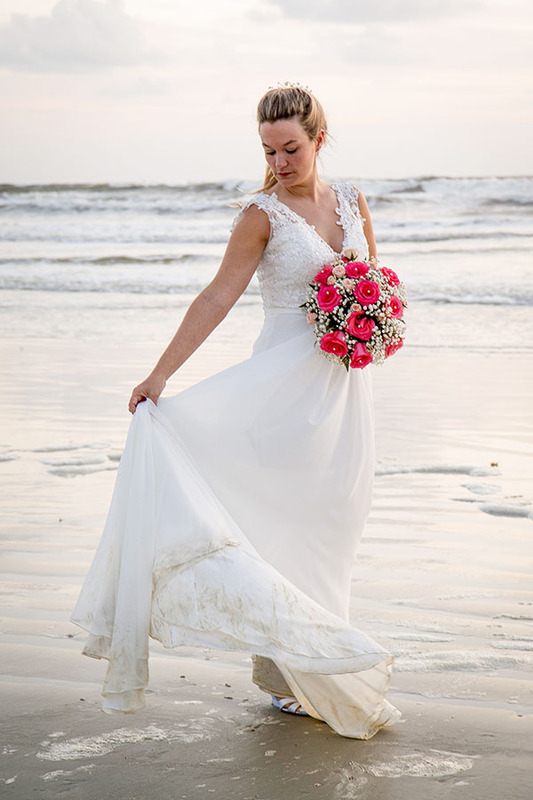 What could be better than starting a day with a first look and gorgeous beach side portraits? 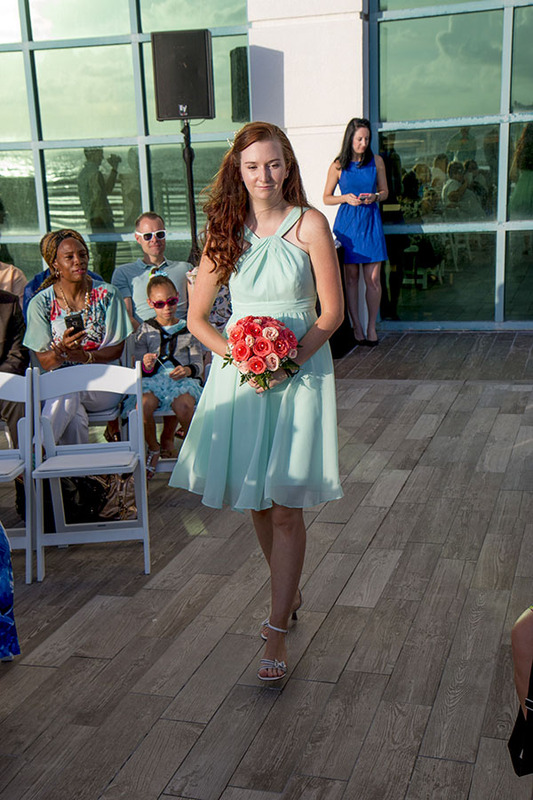 Truthfully, not much! 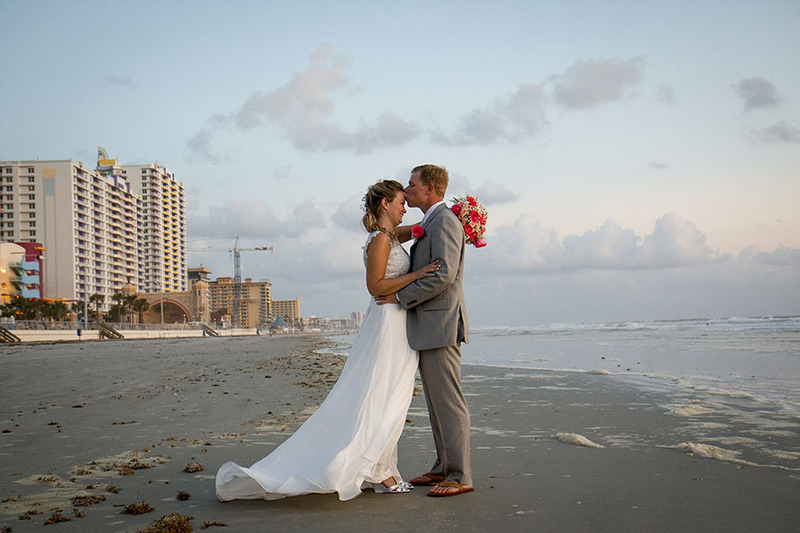 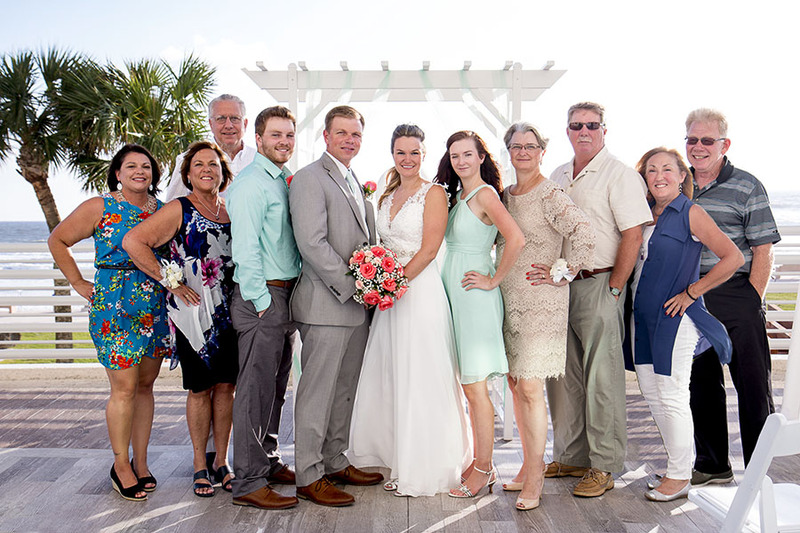 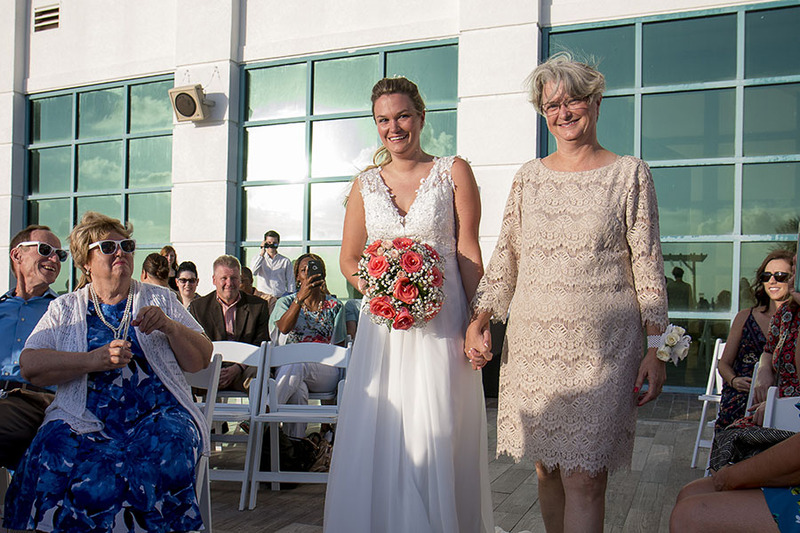 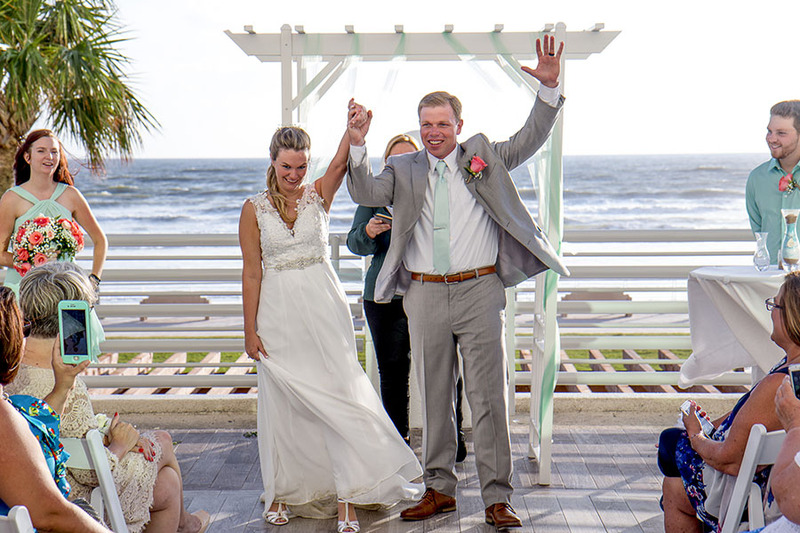 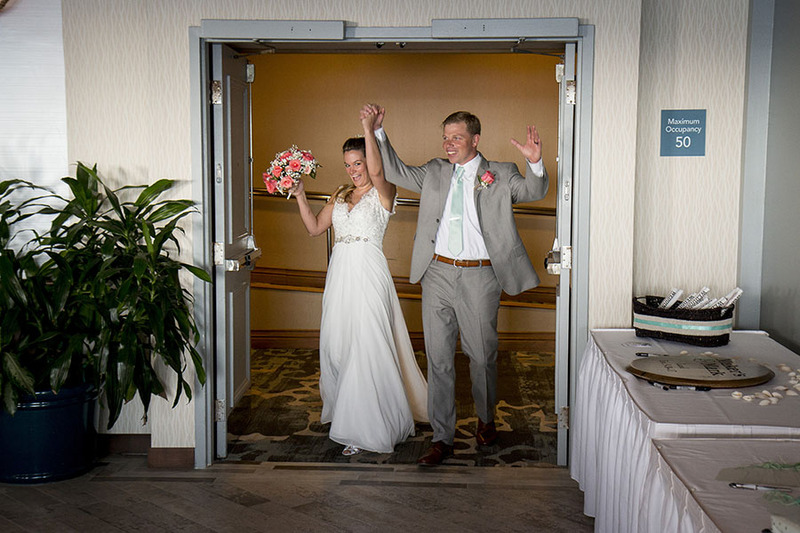 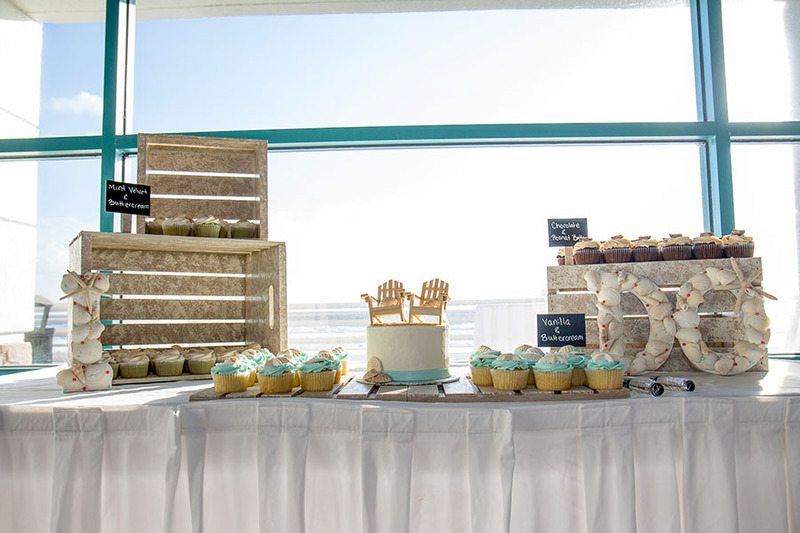 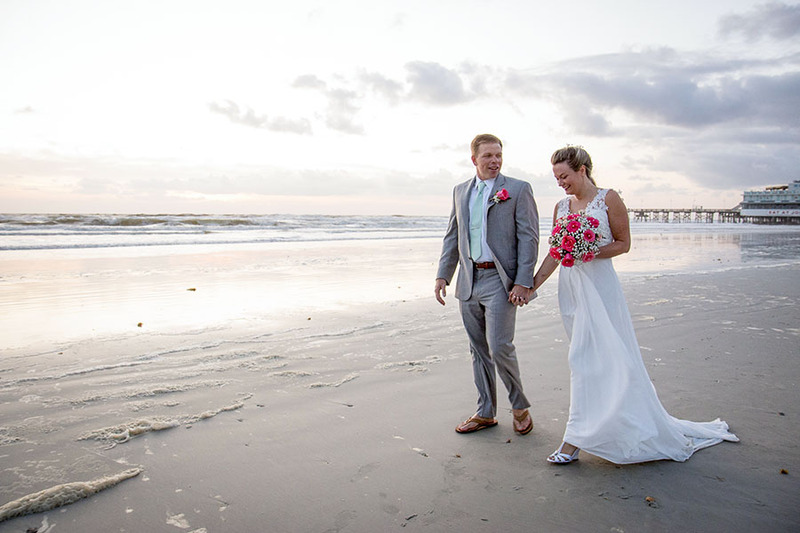 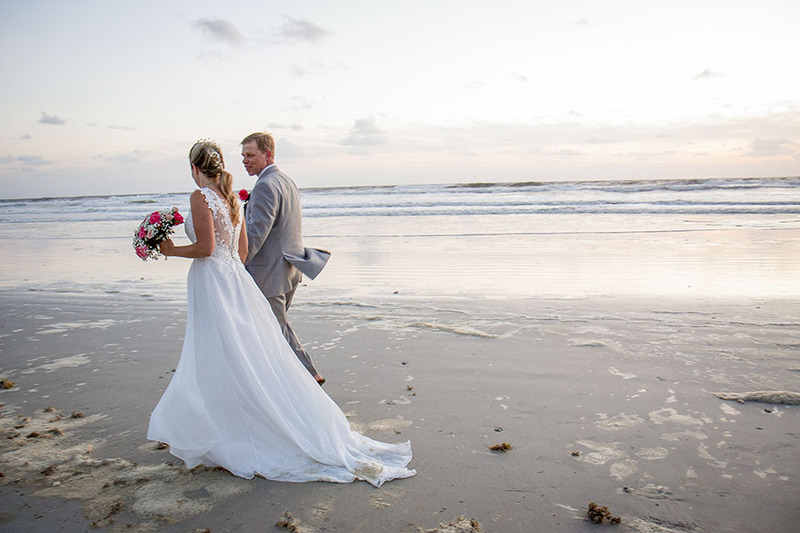 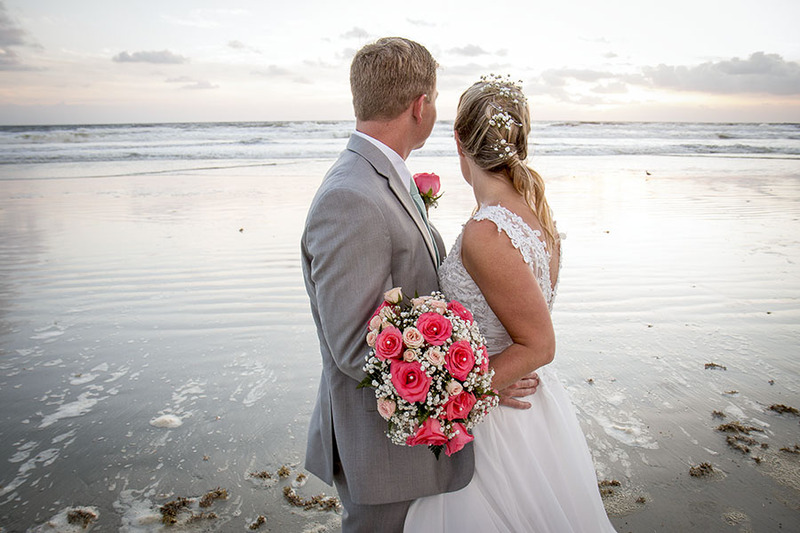 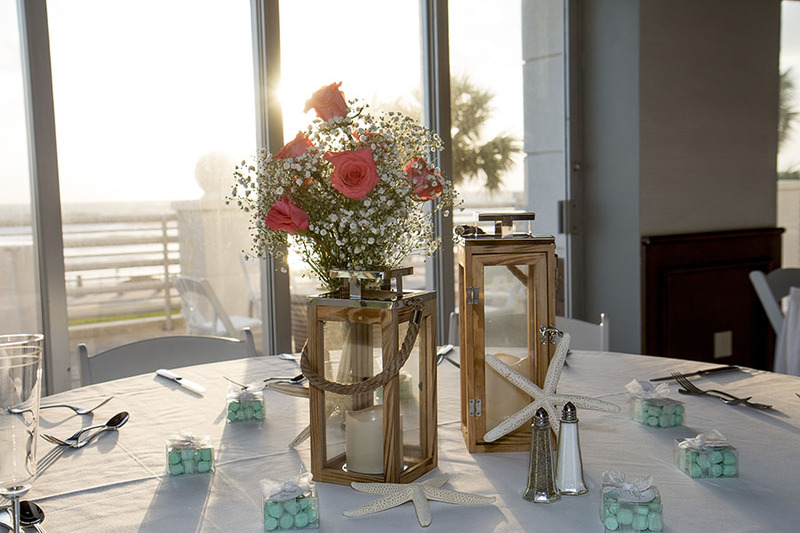 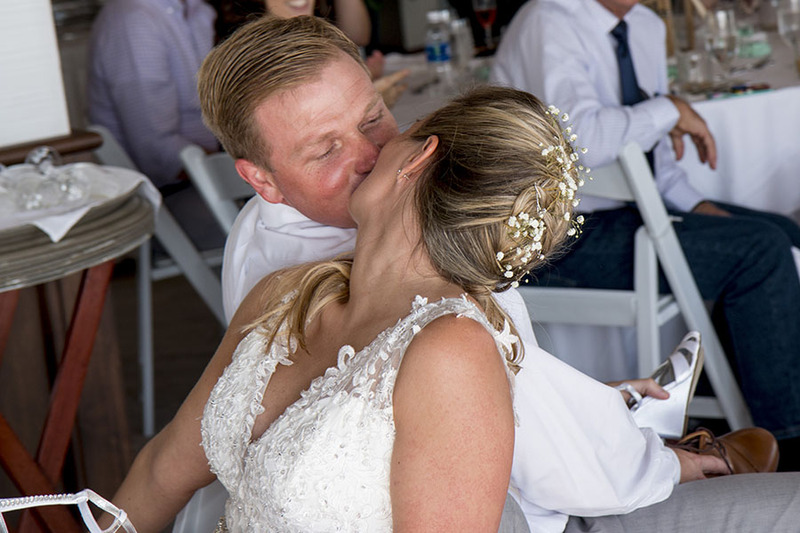 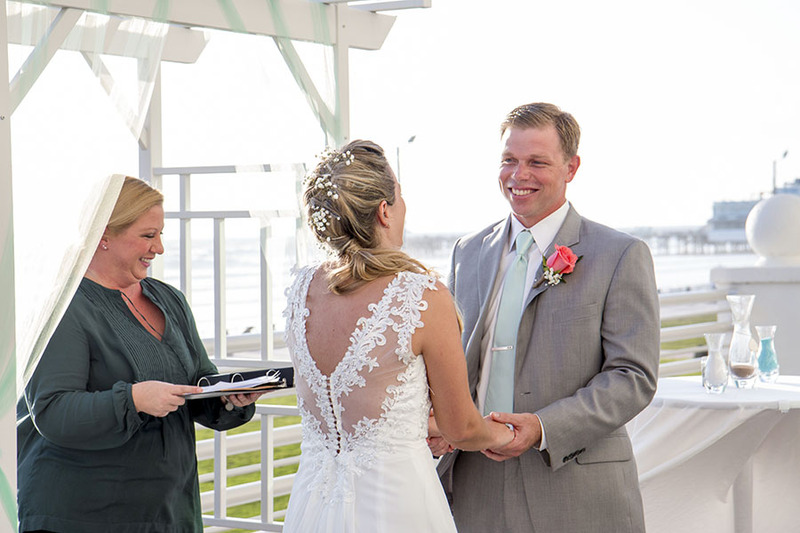 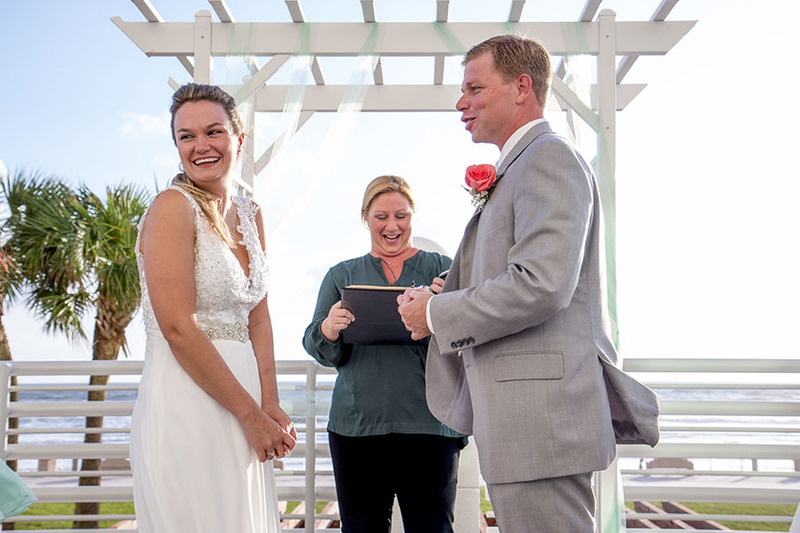 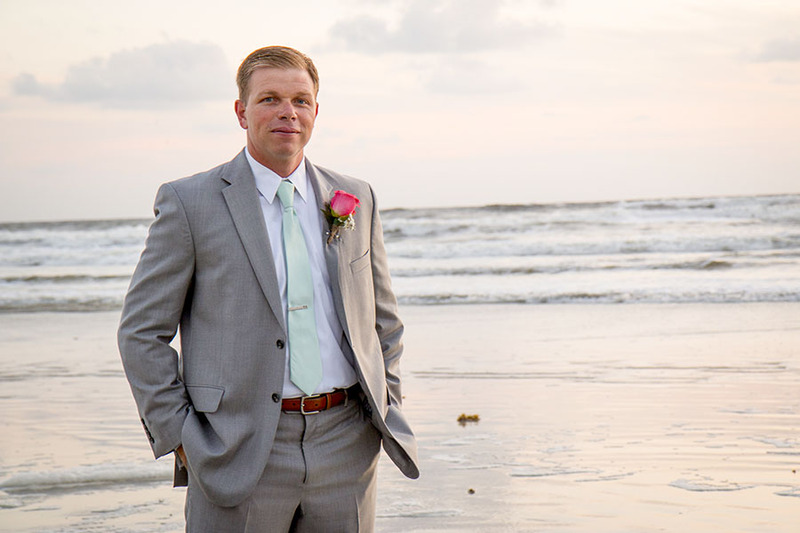 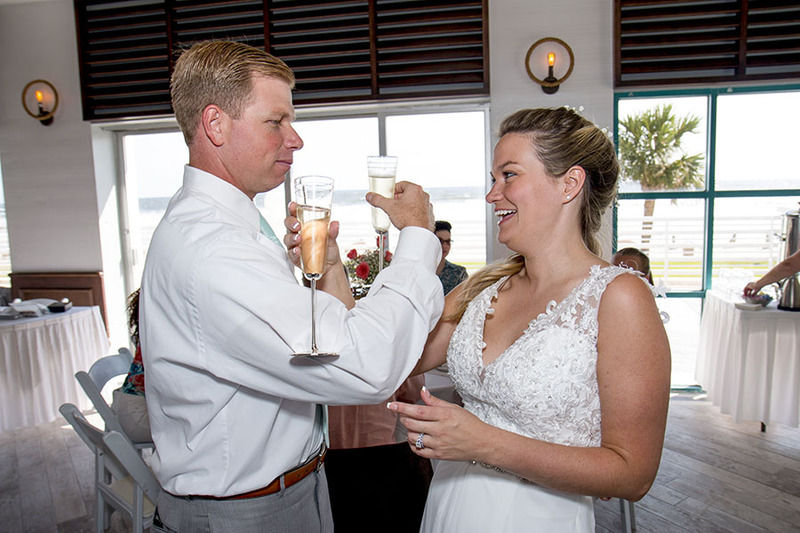 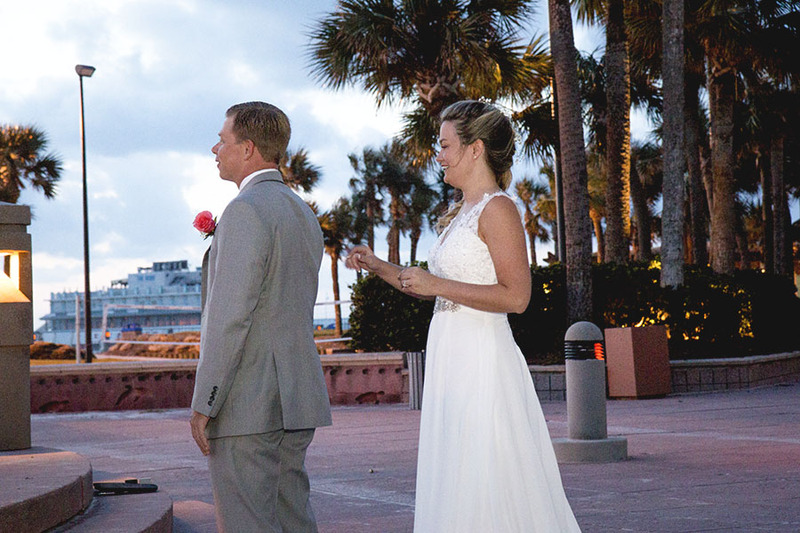 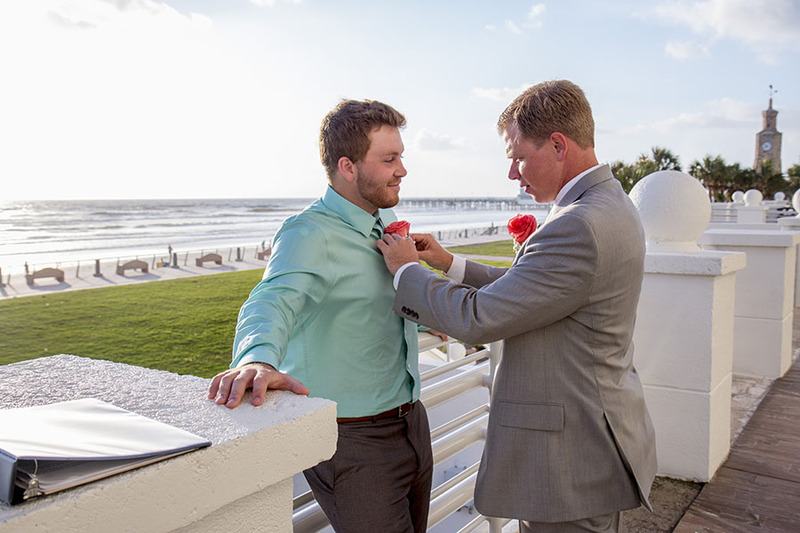 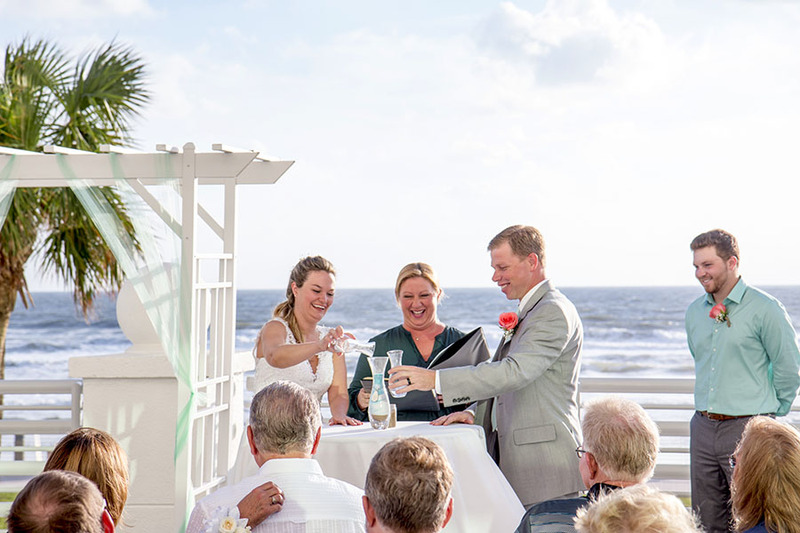 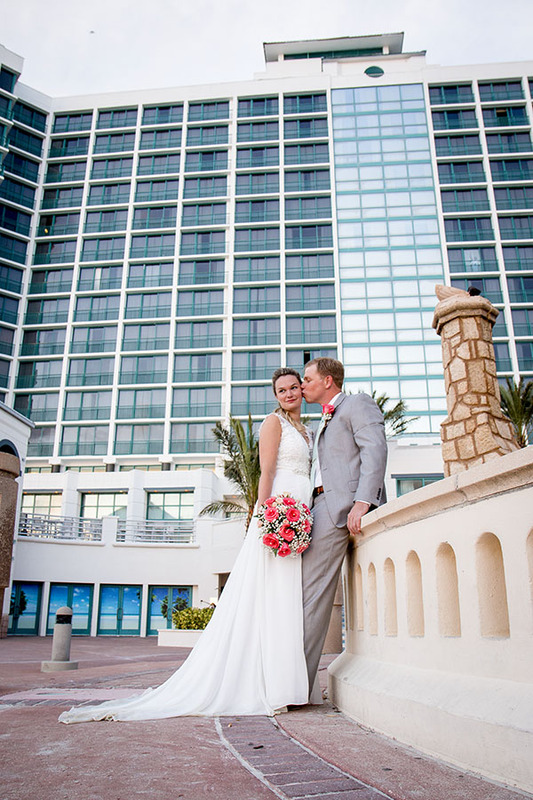 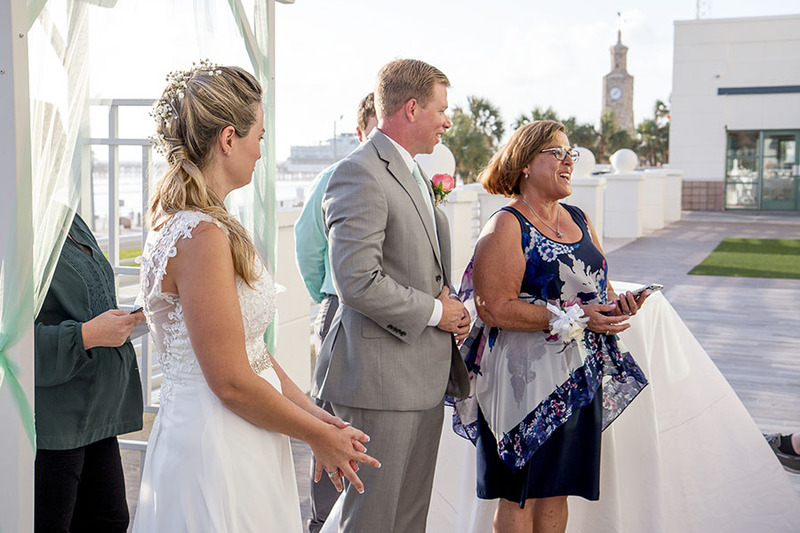 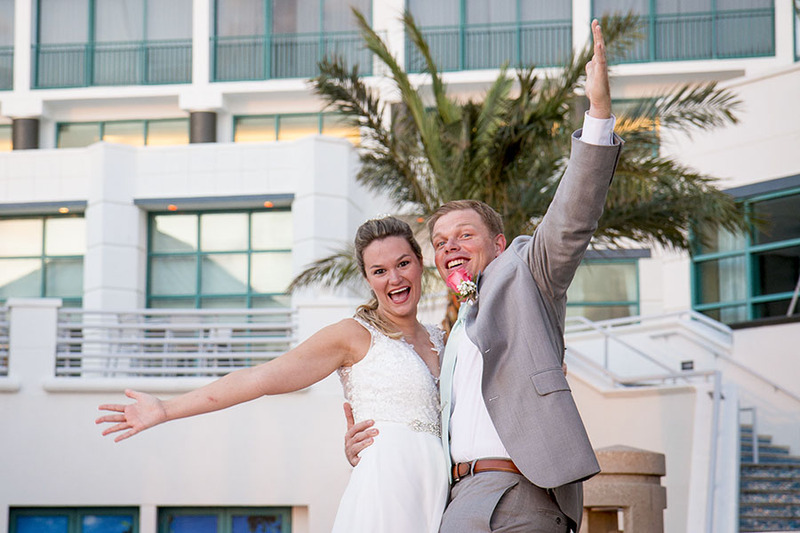 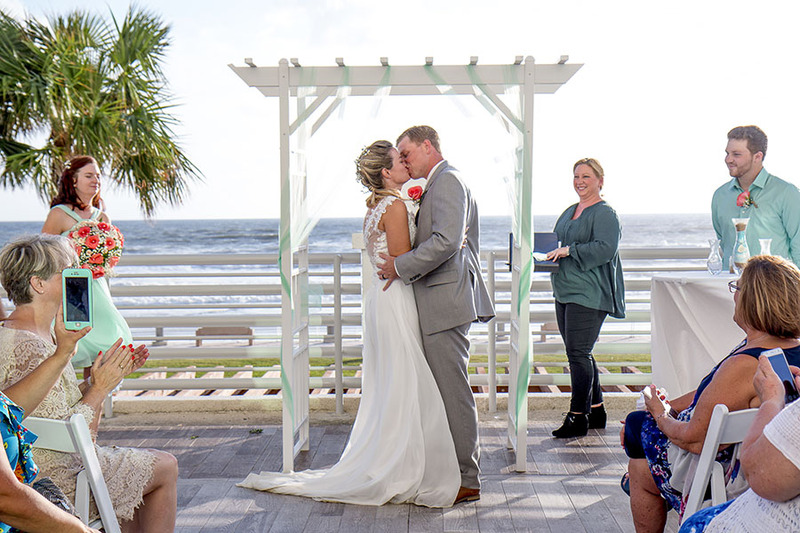 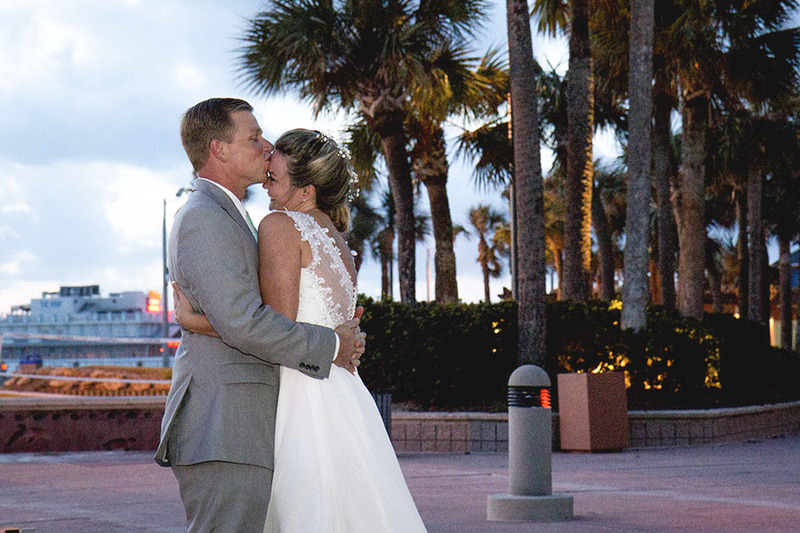 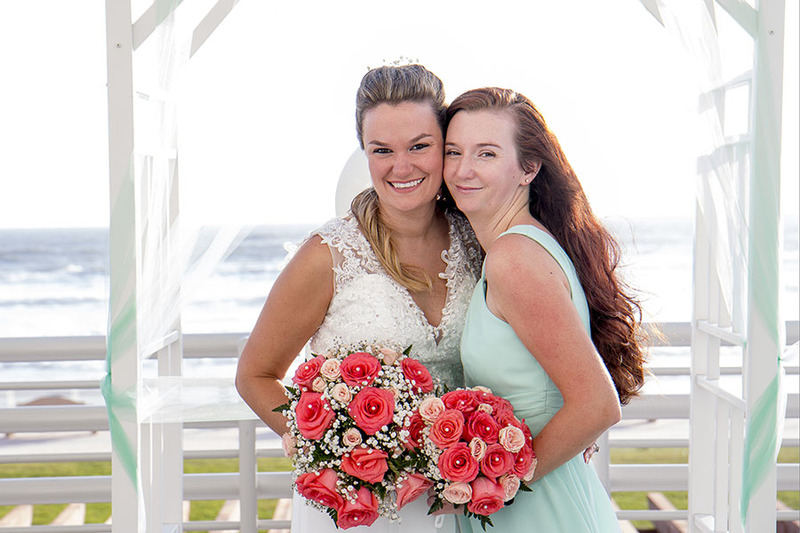 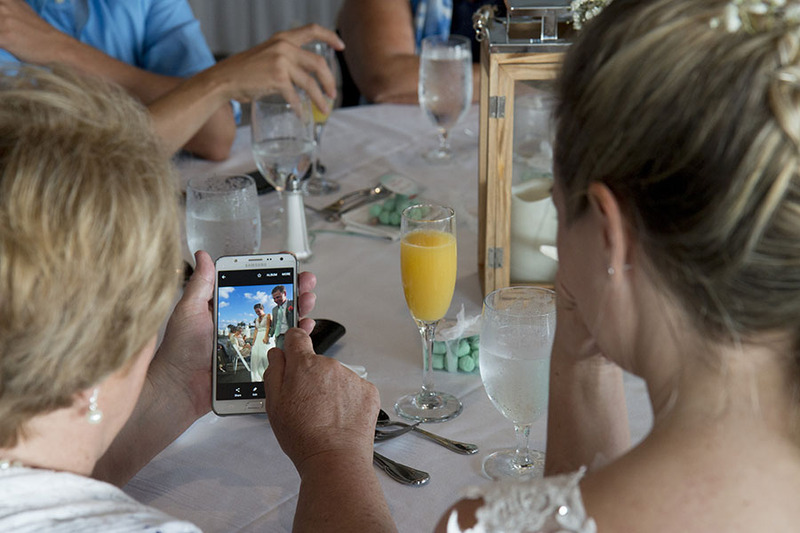 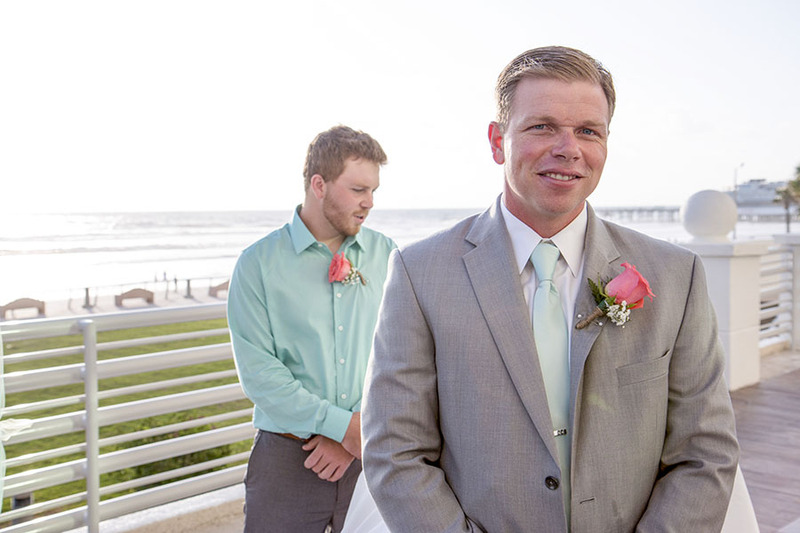 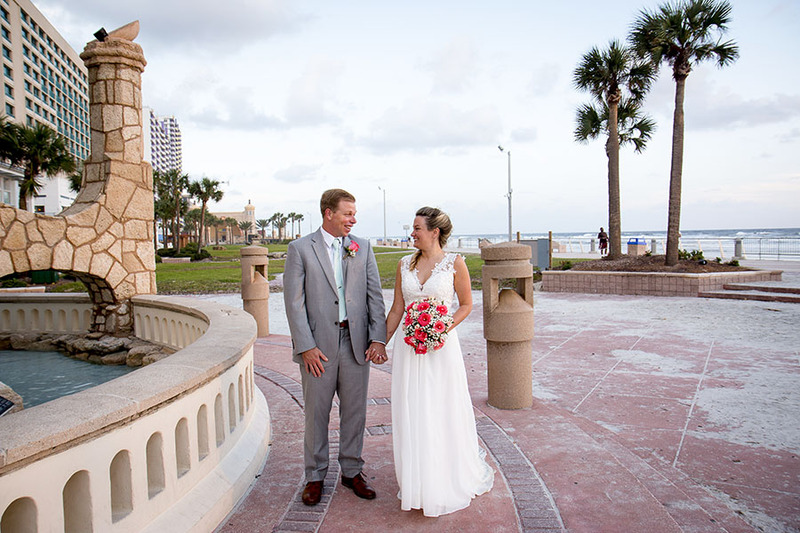 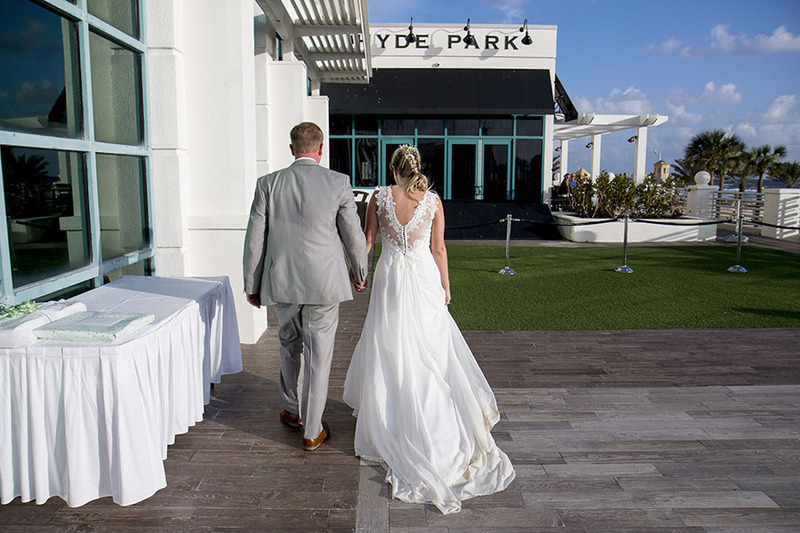 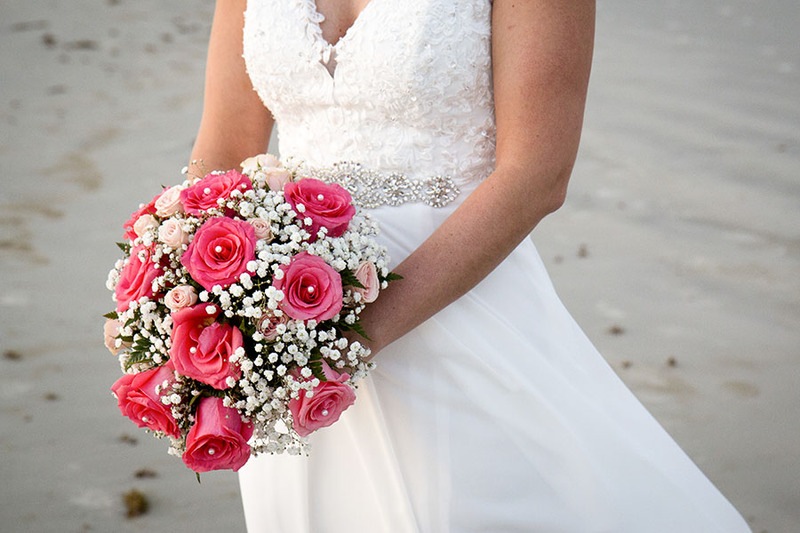 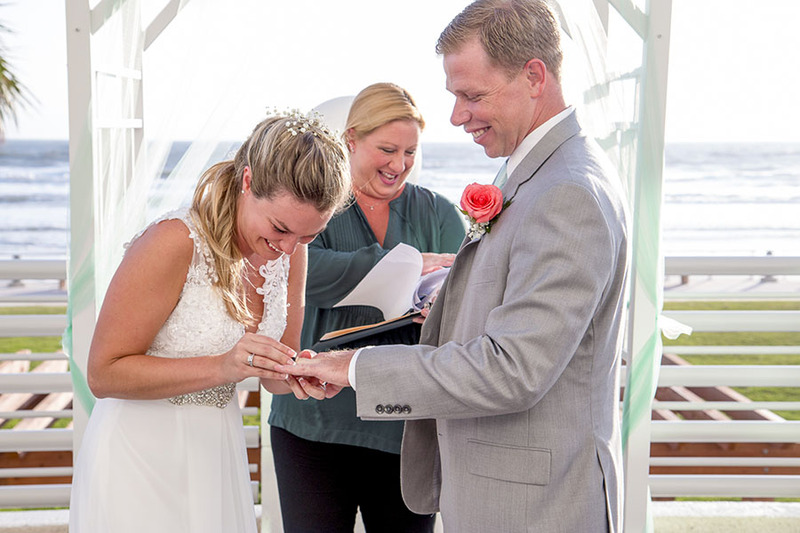 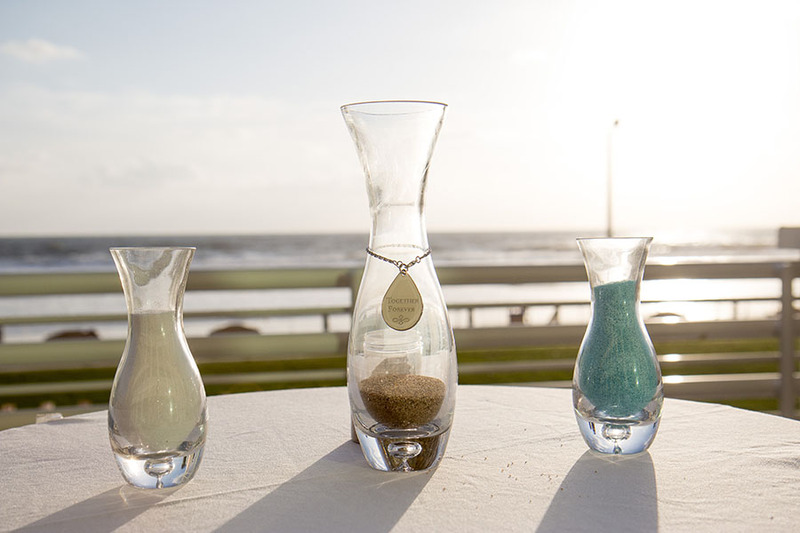 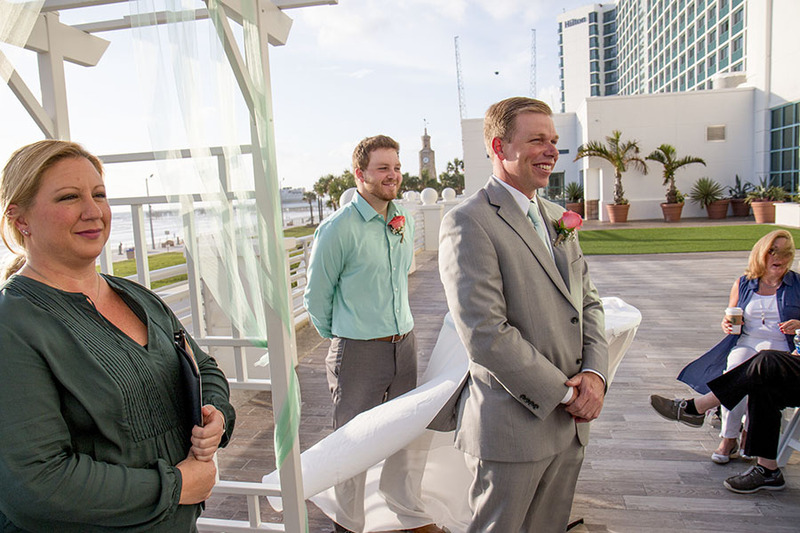 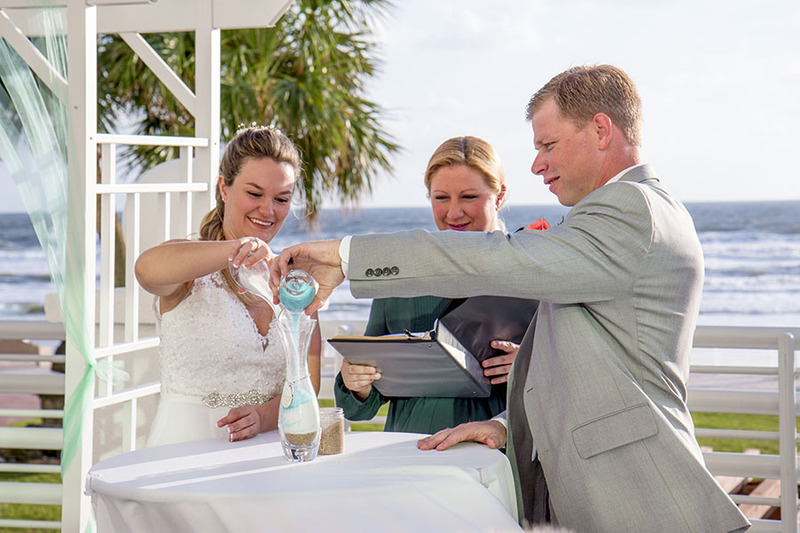 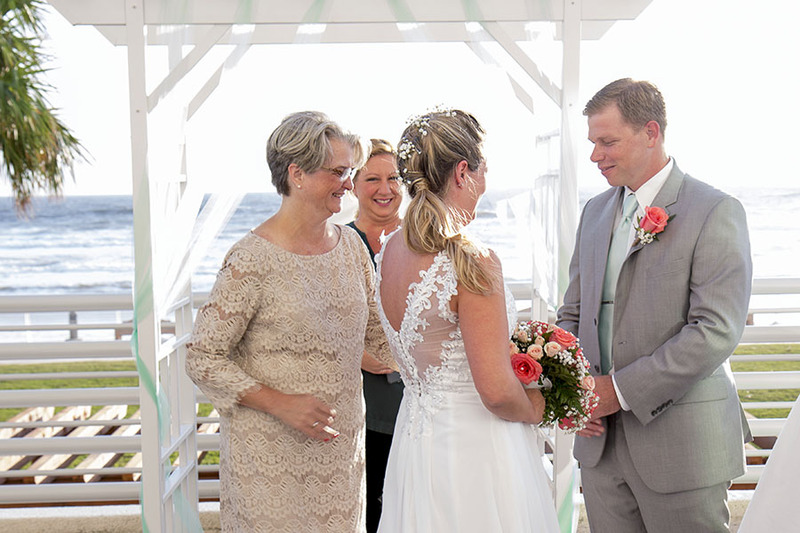 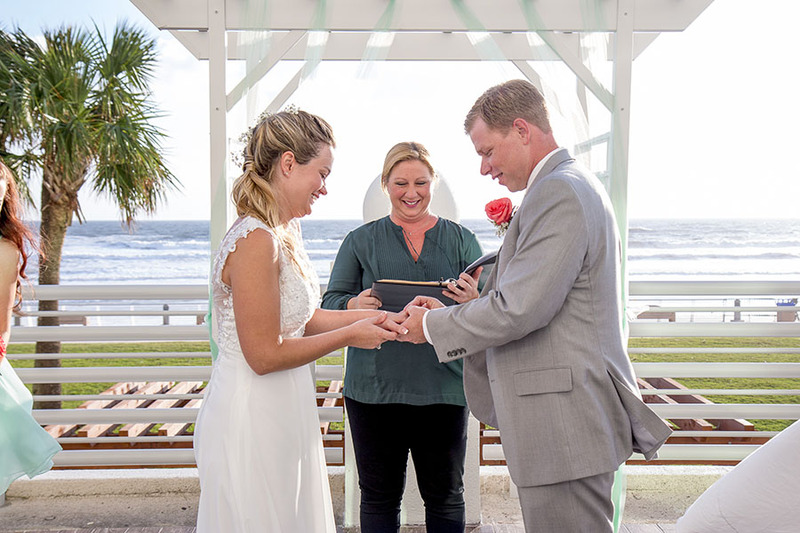 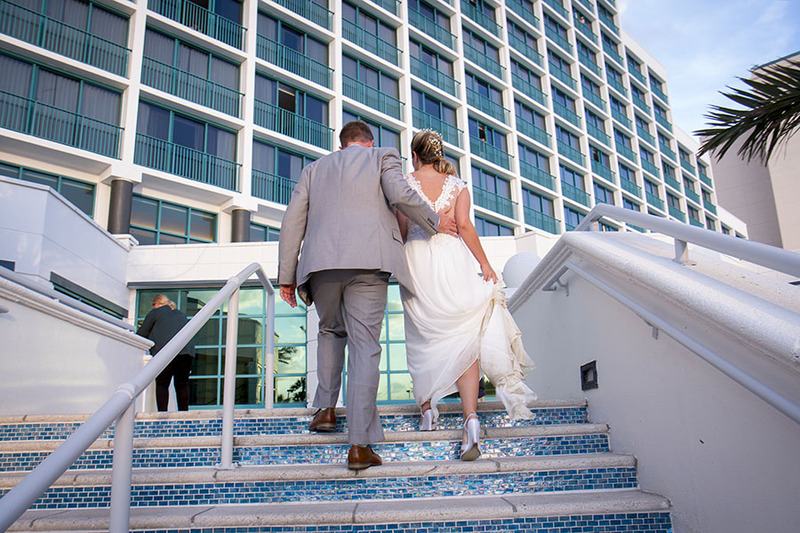 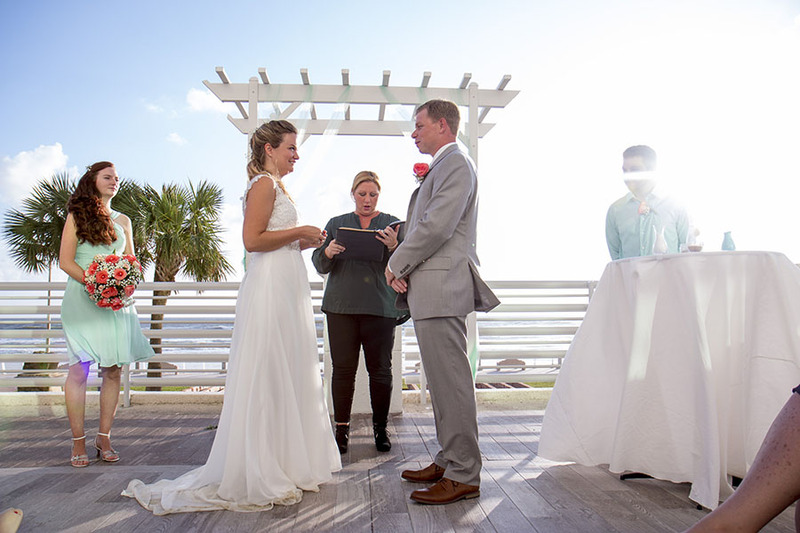 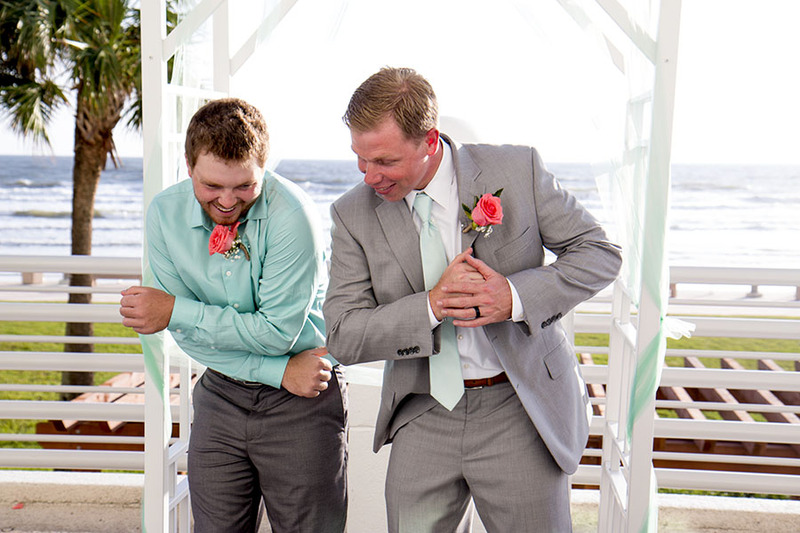 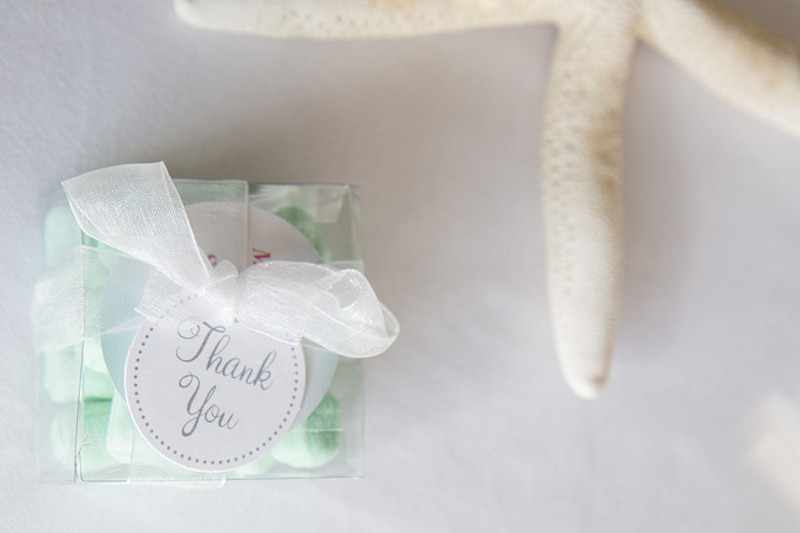 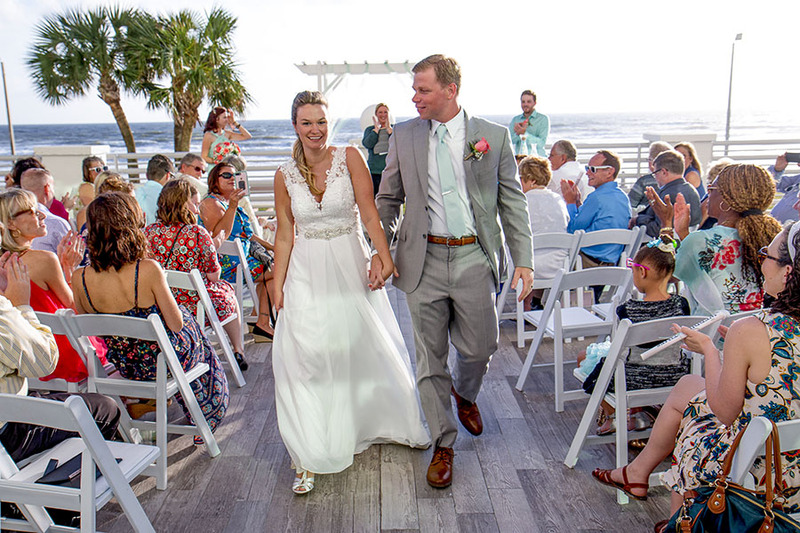 Samantha & Shane did just that at their Hilton Daytona Beach Oceanfront Resort wedding. 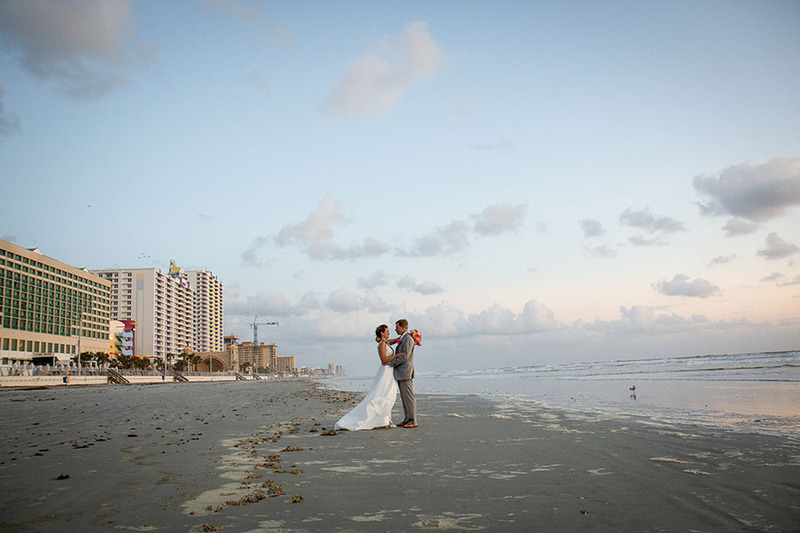 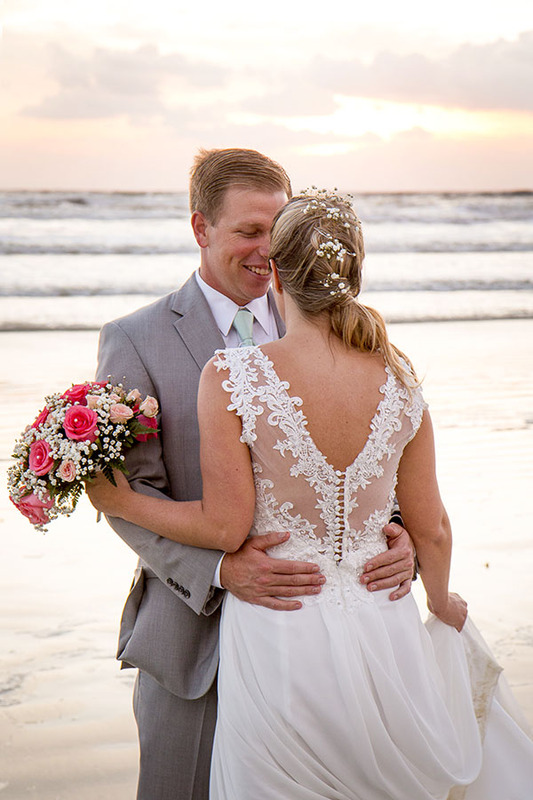 Before saying, “I do,” the couple met at the break of sunrise to have some quiet time before their ceremony. 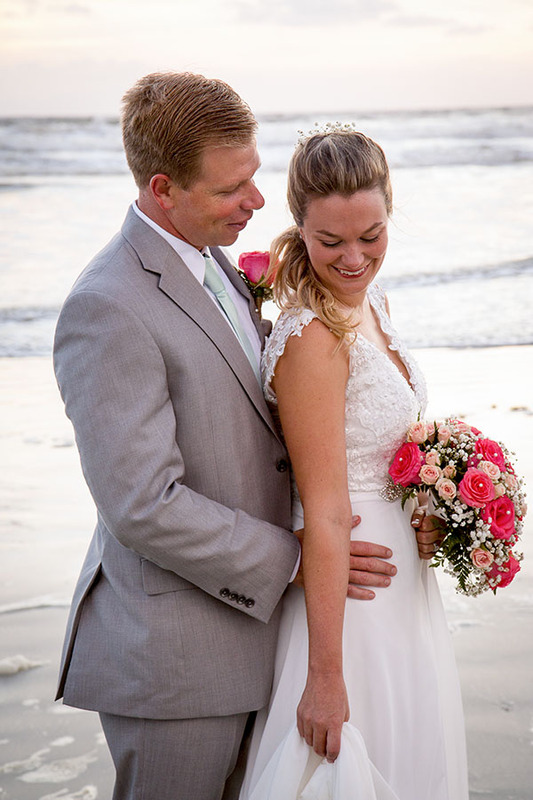 We walked the beach, taking those amazing sunrise portraits. 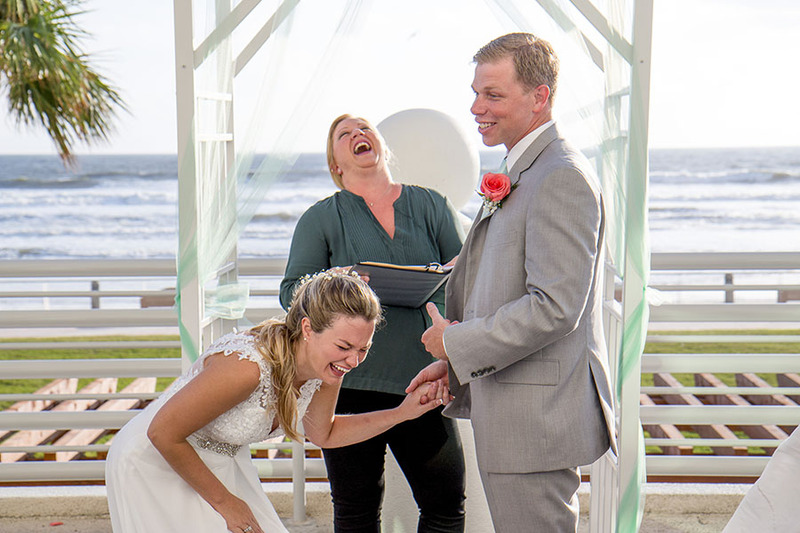 At the ceremony, there were non-stop full body laughs by everyone! 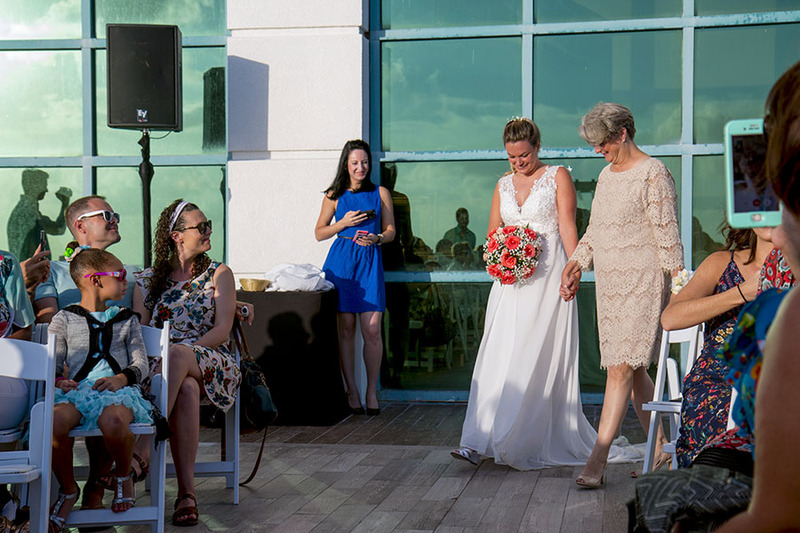 The gorgeous light highlighted the joyous mood of the celebration. 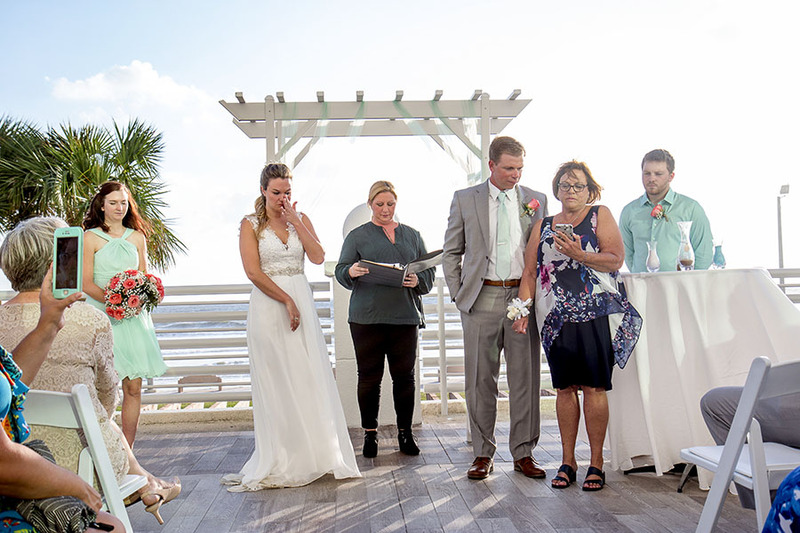 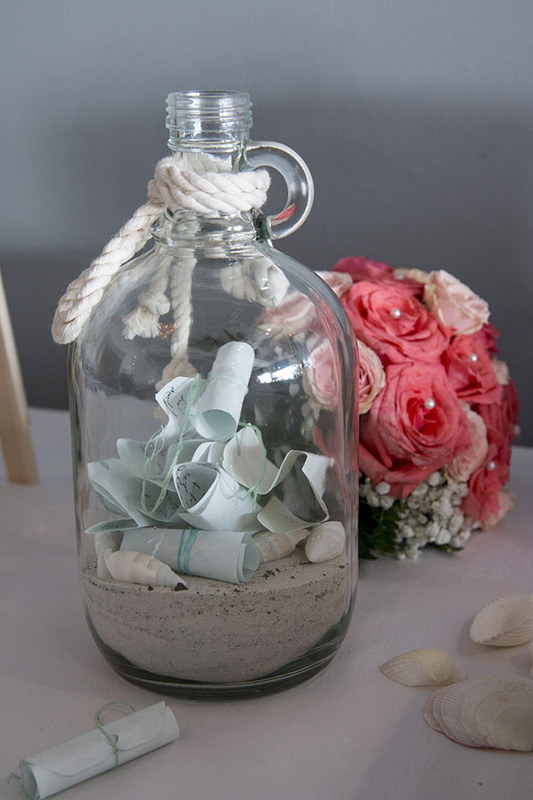 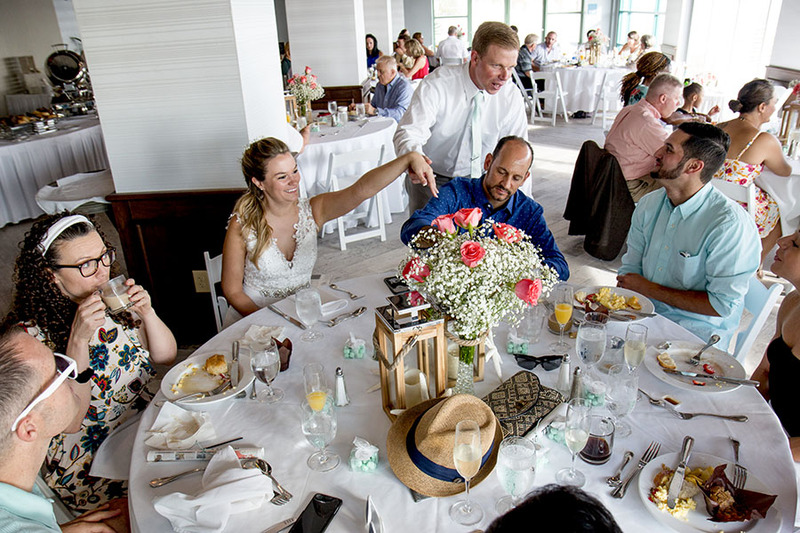 The newlyweds played hilarious games and kept their guests laughing the entire reception! 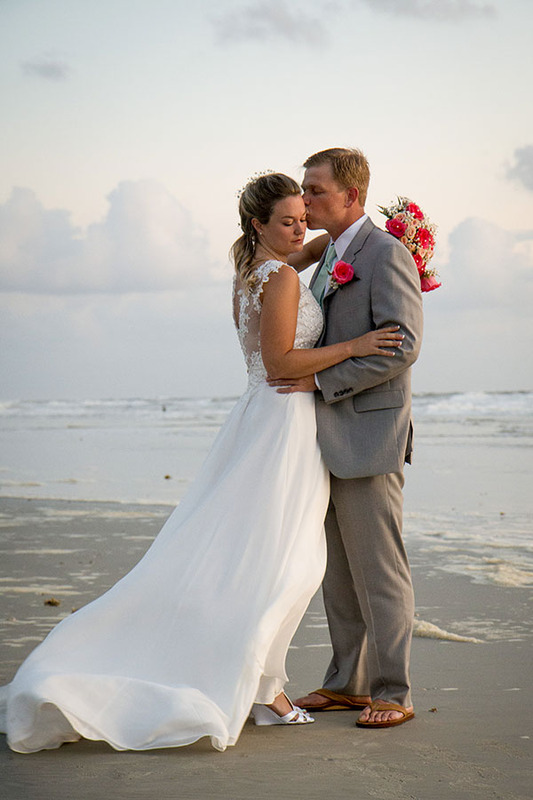 Congratulations, Mr. and Mrs. Land! 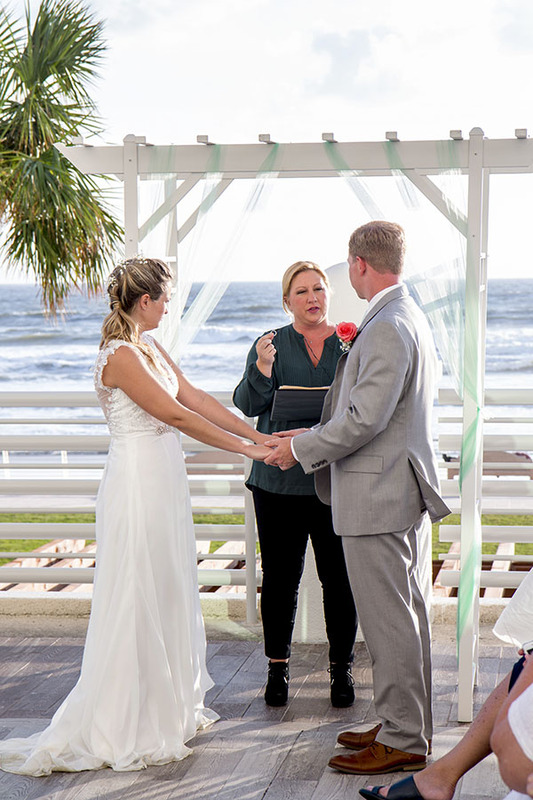 You two are so down to earth & amazing! 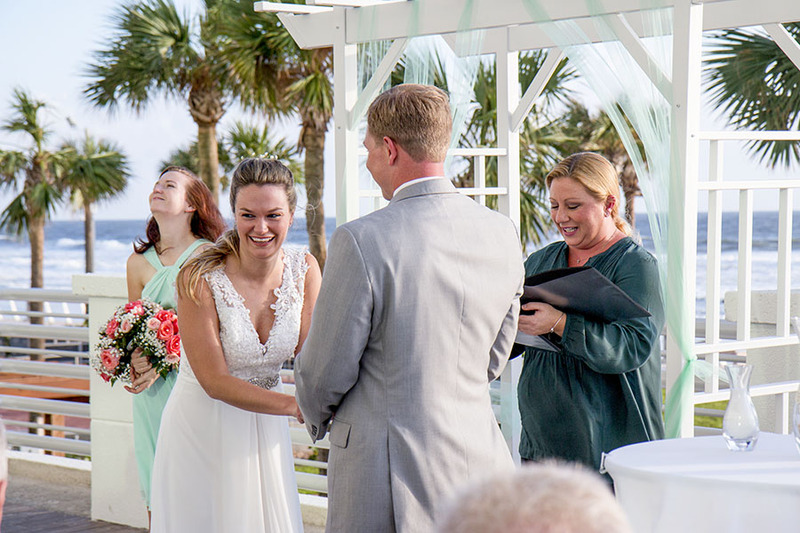 I was so happy to be a part of your wedding day. 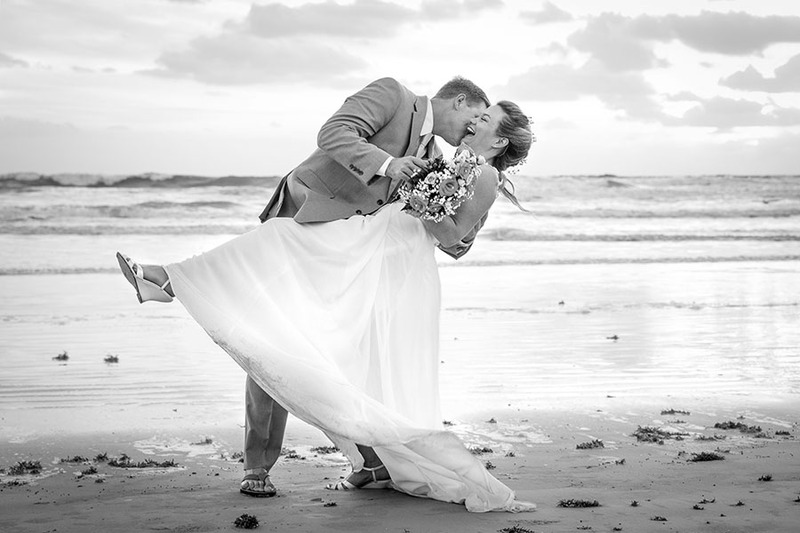 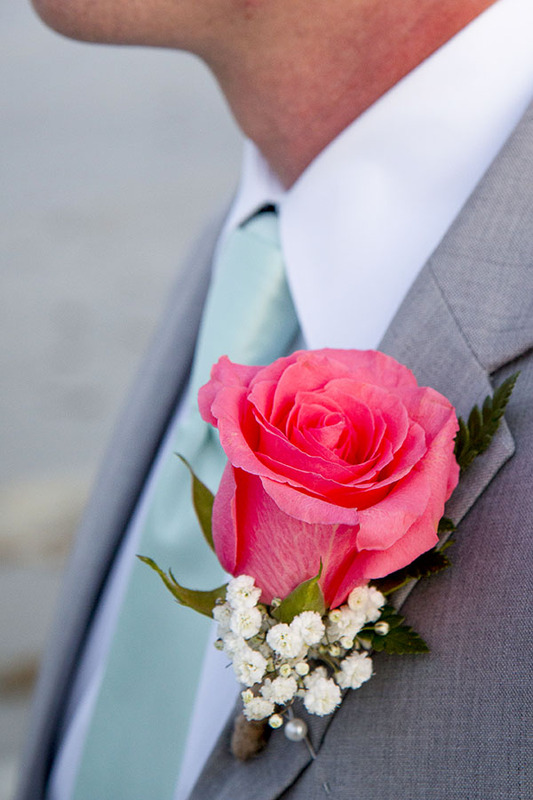 Are you looking for a laid back photographer to capture your wedding memories? 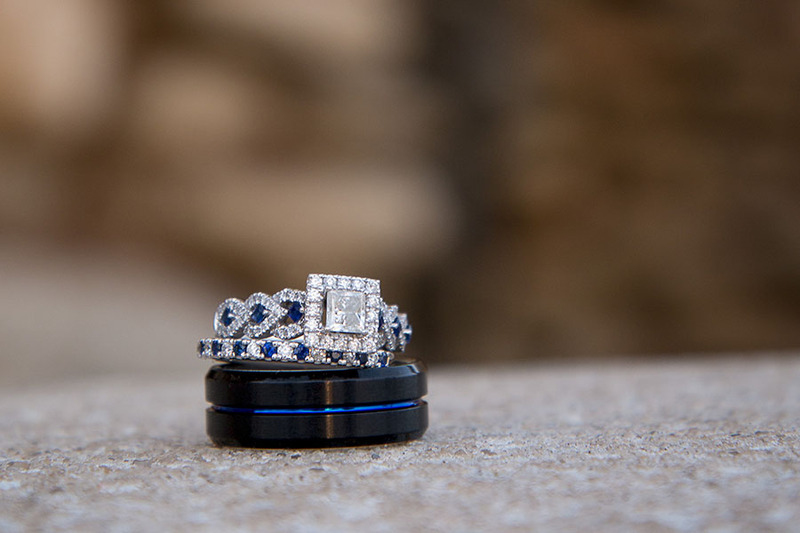 Contact me right now to chat about your celebration… YES, right now! 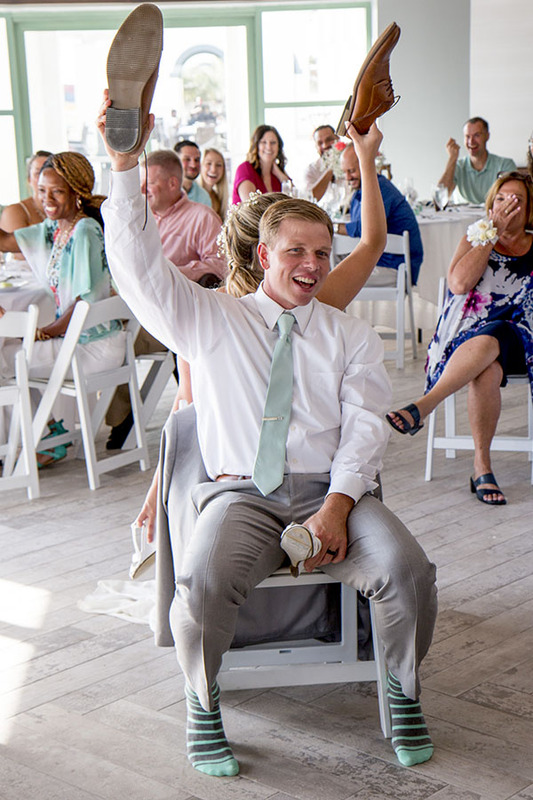 I had such a great time at this wedding! 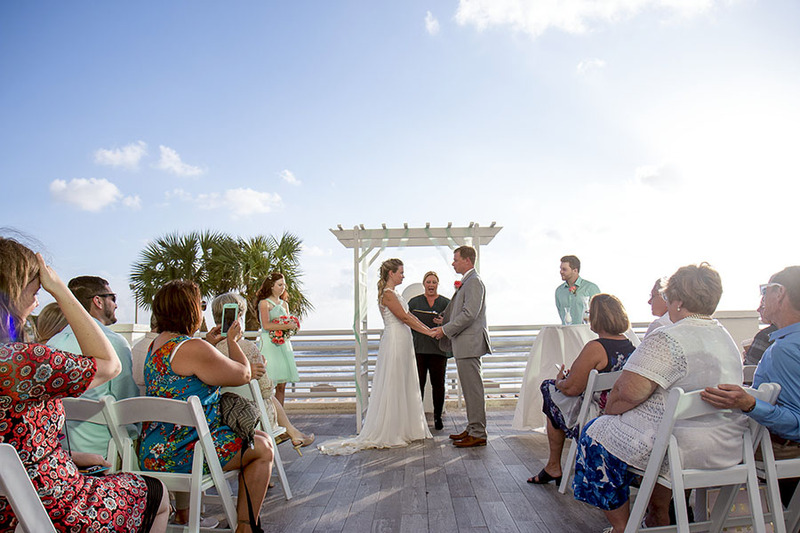 I love the venue, especially for sunrise weddings!